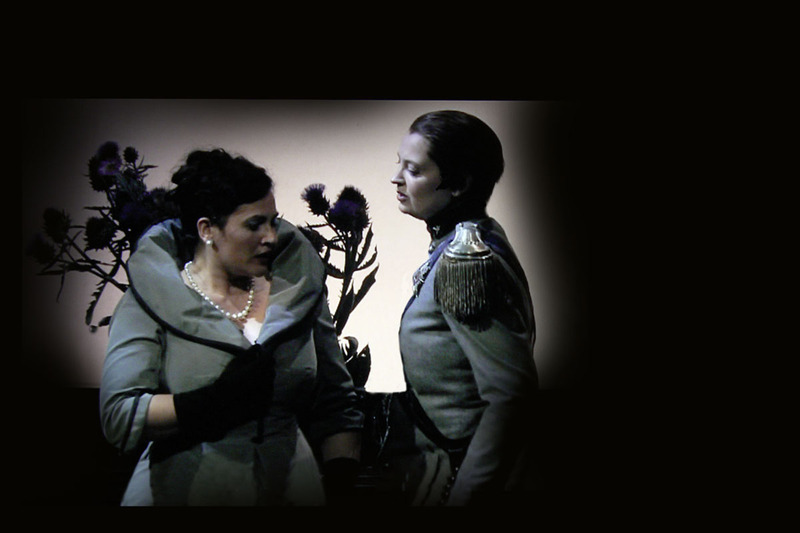 Prince Ariodante (Ann Hallenberg) muses on Ginevra's beauty. 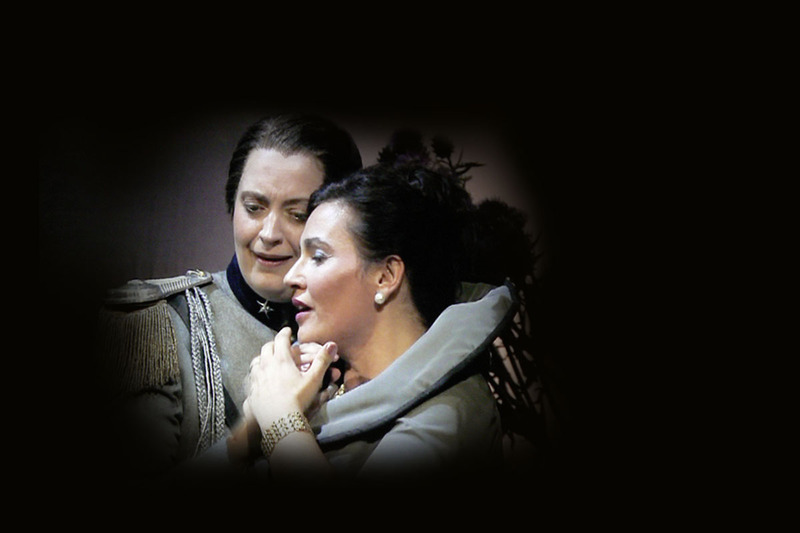 Prince Ariodante (Ann Hallenberg) and Princess Ginevra (Laura Cherici) exchange vows of love. 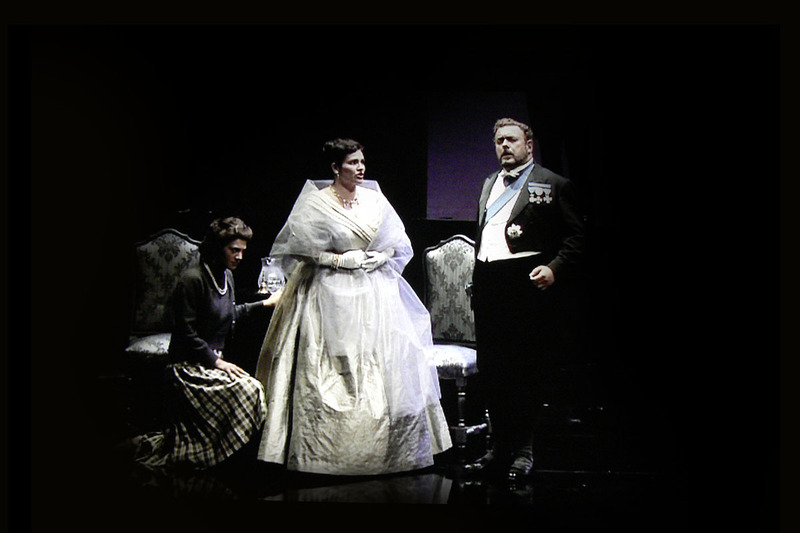 Prince Ariodante (Ann Hallenberg) and Princess Ginevra (Laura Cherici) exchange vows of love, while Odoardo (Vittorio Prato) tells them of the king's imminent arrival. 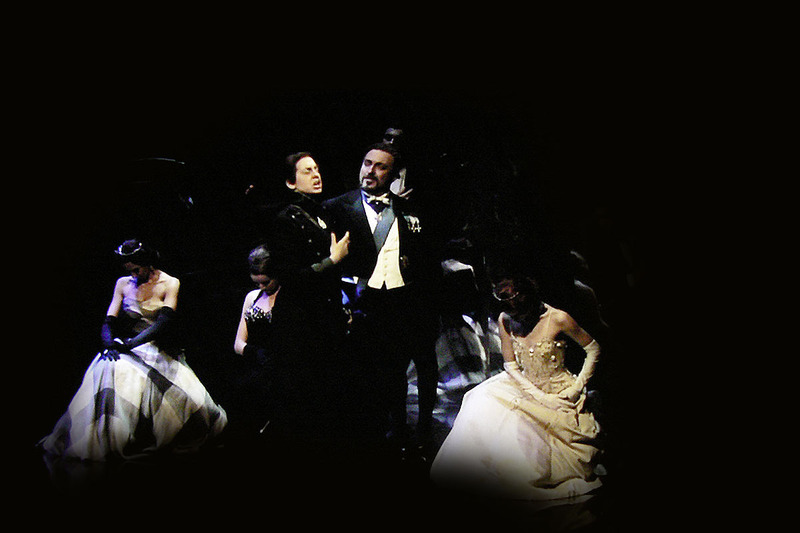 Virtue and love are celebrated by the entire court. 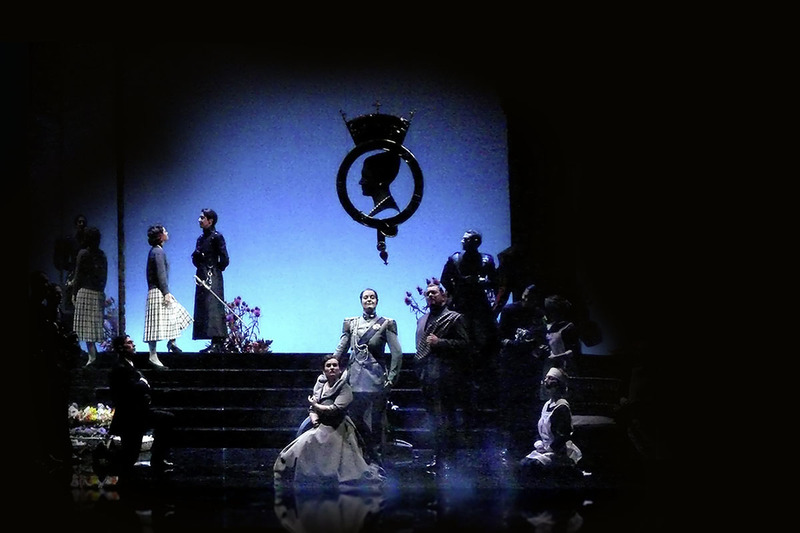 The Order of the Garter is seen hanging above them. 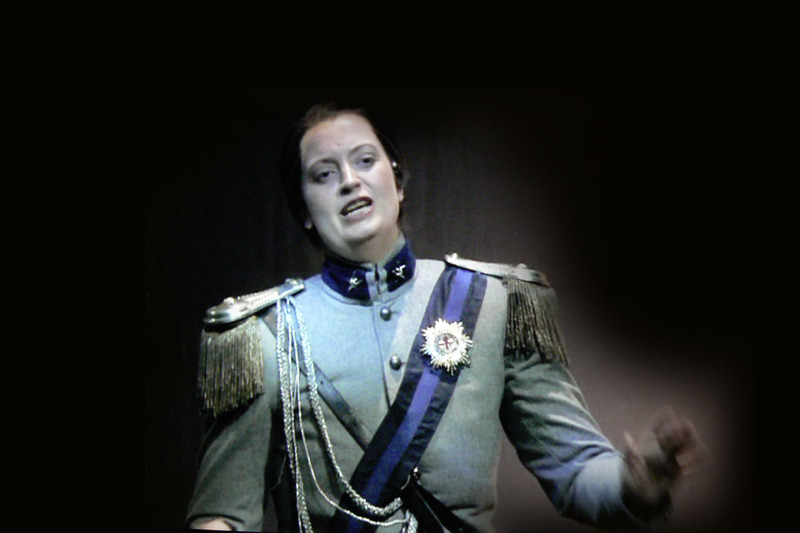 Prince Ariodante (Ann Hallenberg) swears to kill his rival for slandering his fiançée, Princess Ginevra. 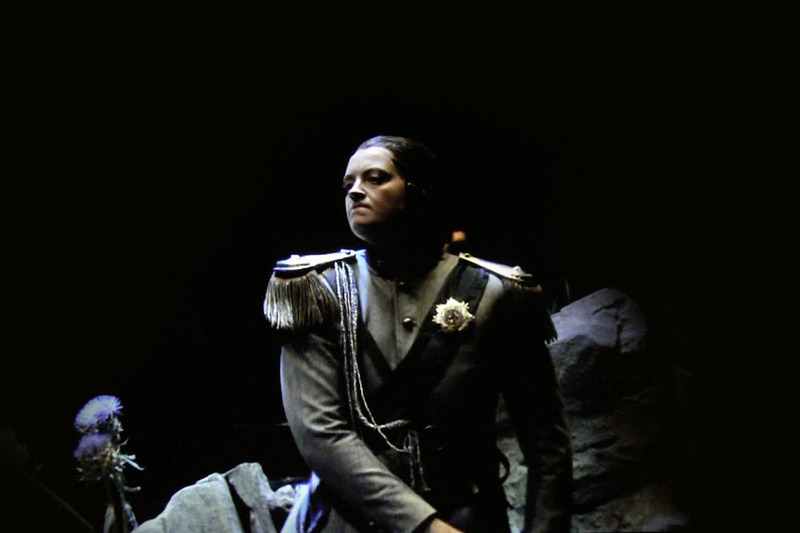 The King of Scotland (Carlo Lepore) hears from Odoardo (Vittorio Prato) that Prince Ariodante has been killed. 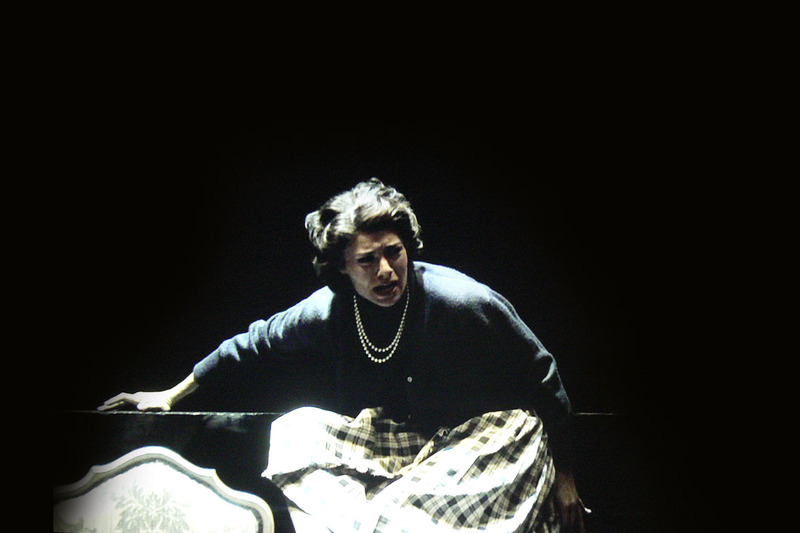 Polinesso (Mary-Ellen Nesi) looks on, unperturbed. 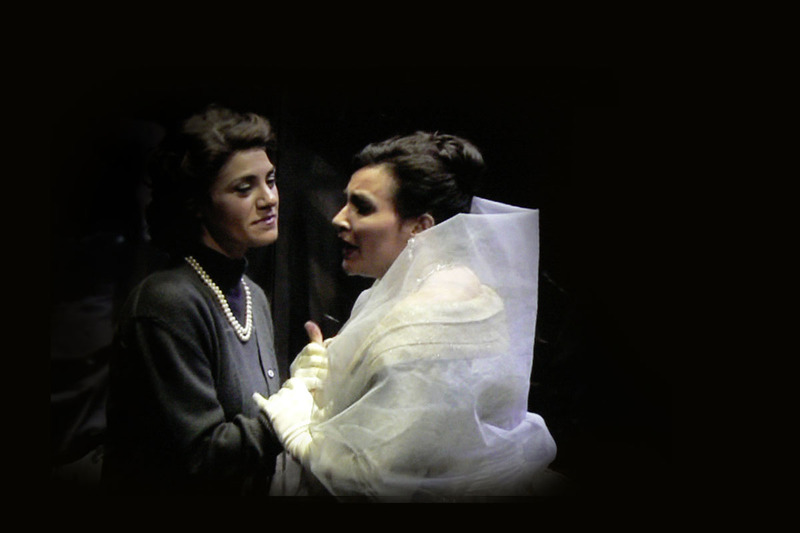 Princess Ginevra (Laura Cherici) confides in Dalinda (Marta Vandoni Iorio) that her heart is beating too fast, yet she does not know why. 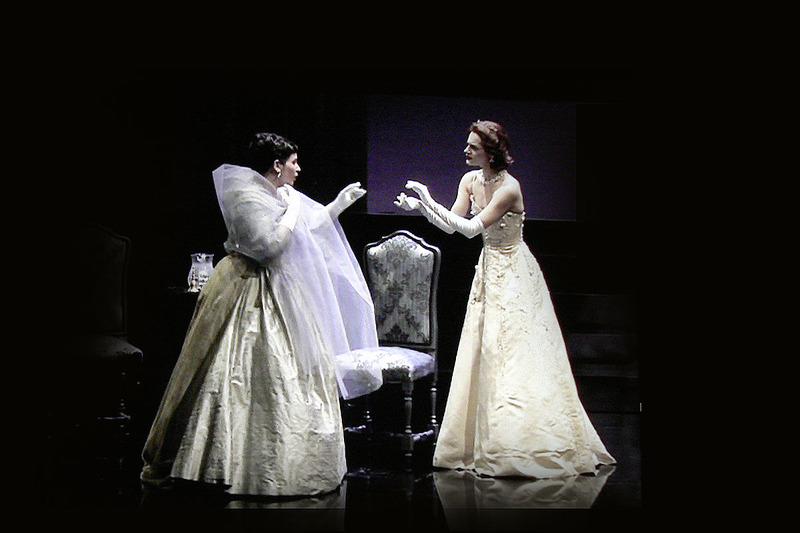 Princess Ginevra (Laura Cherici) muses on her feelings, while refusing assistance from a lady in waiting. 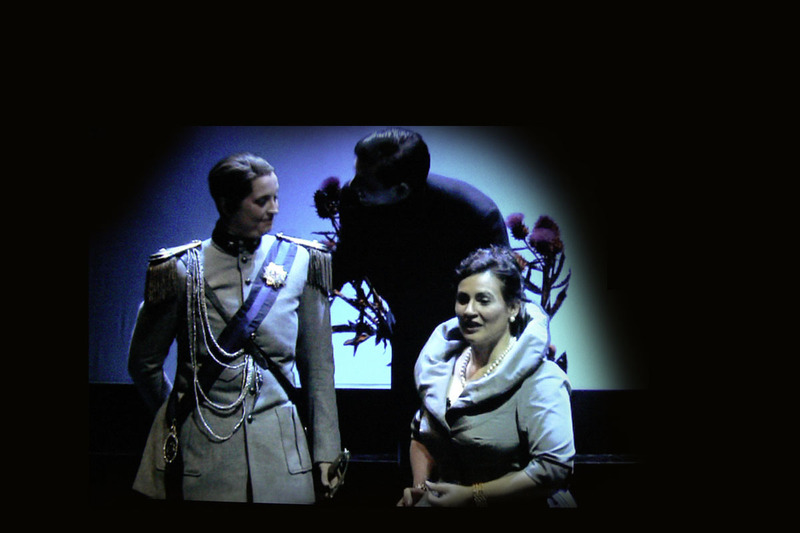 The King of Scotland (Carlo Lepore) comes to give Princess Ginevra (Laura Cherici) some tragic news. 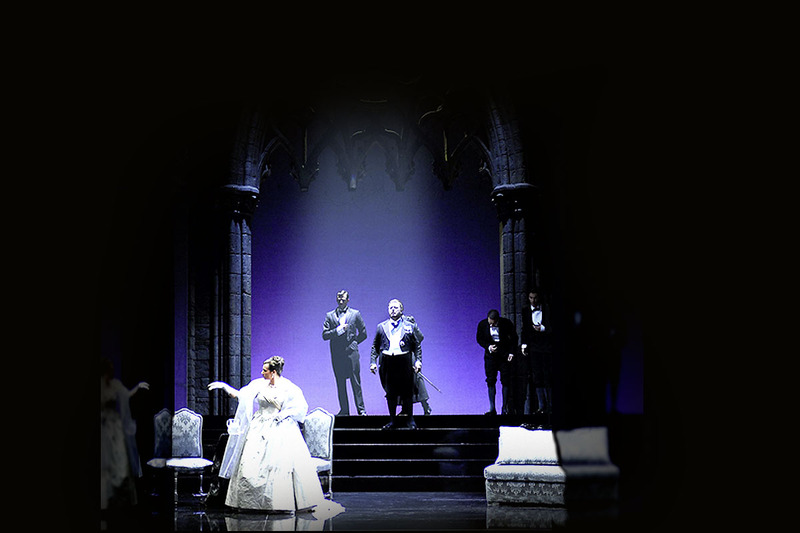 The King (Carlo Lepore) demands that his daughter Princess Ginevra (Laura Cherici) remain calm, while he tries to explain what has happened. 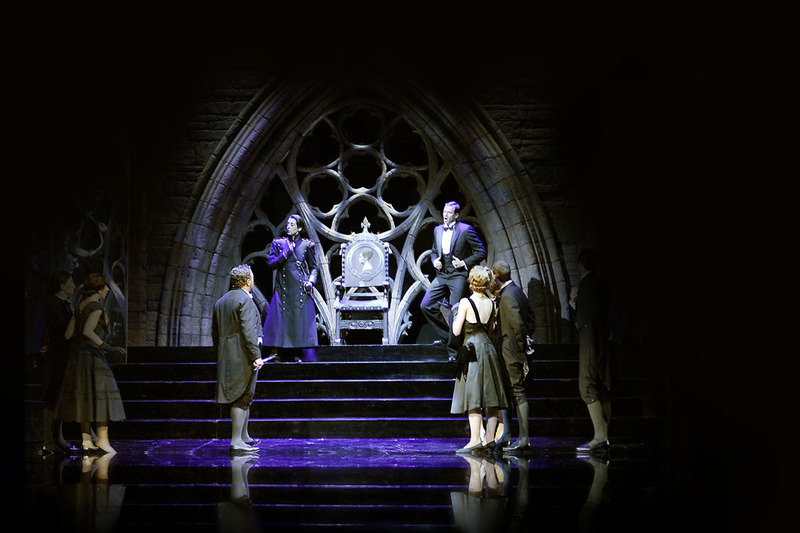 The King of Scotland (Carlo Lepore), having broken the news to Princess Ginevra (Laura Cherici), tries to comfort her, while Dalinda (Marta Vandoni Iorio) kneels at their feet. 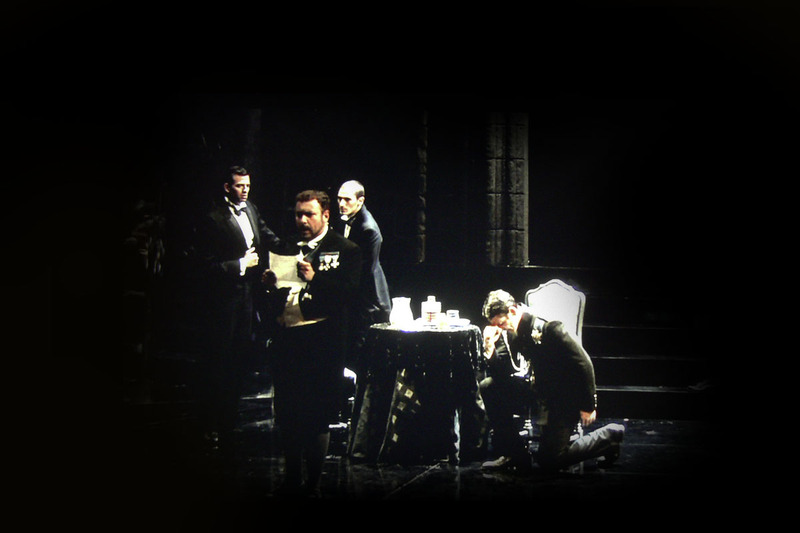 Lurcanio (Zachary Stains) hands a letter to the King (Carlo Lepore) accusing Ginevra of infidelity – which has led to Ariodante's presumed suicide. 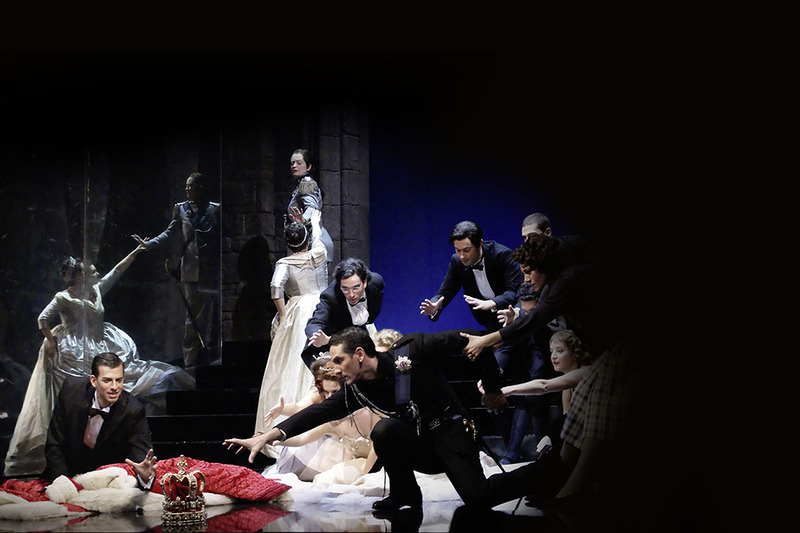 Dalinda (Marta Vandoni Iorio) realises that she is unwittingly to blame for the false accusation against the Princess. 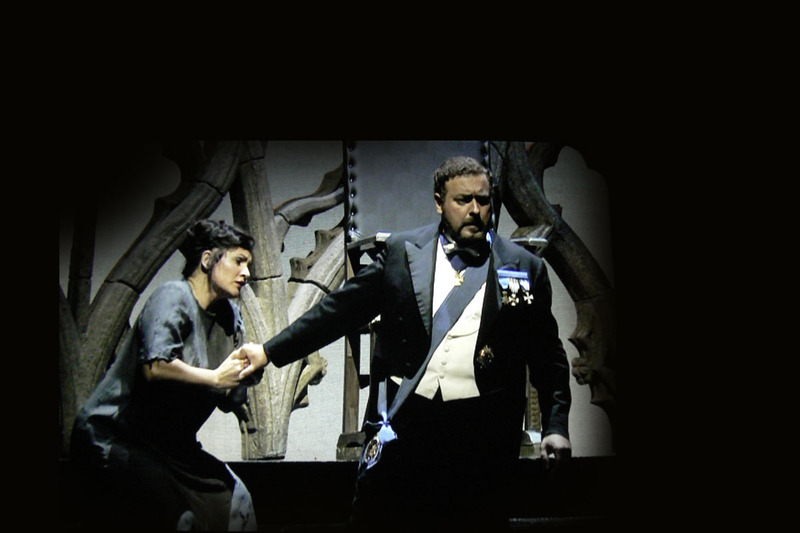 The unjustly imprisoned Princess Ginevra (Laura Cherici) pleads for a last embrace from her father the King (Carlo Lepore). 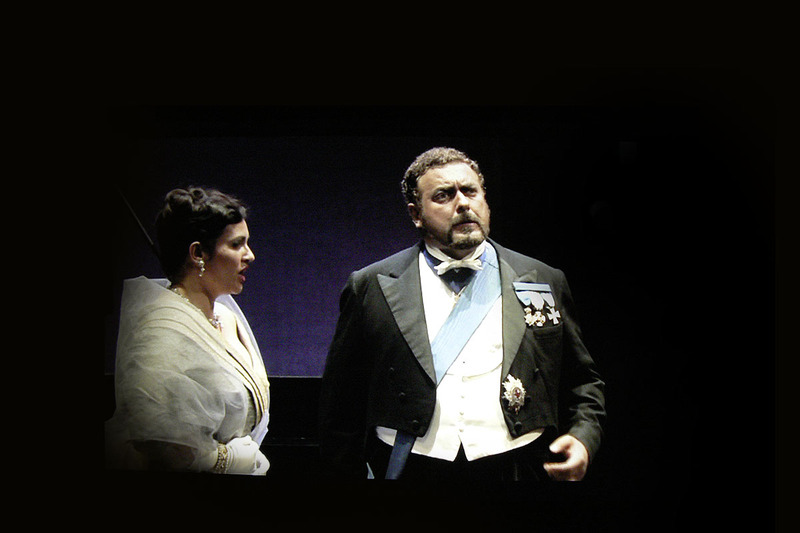 Polinesso (Mary Ellen Nesi) brags to the King (Carlo Lepore) that he will champion the Princess. The ladies of the court kneel around them. 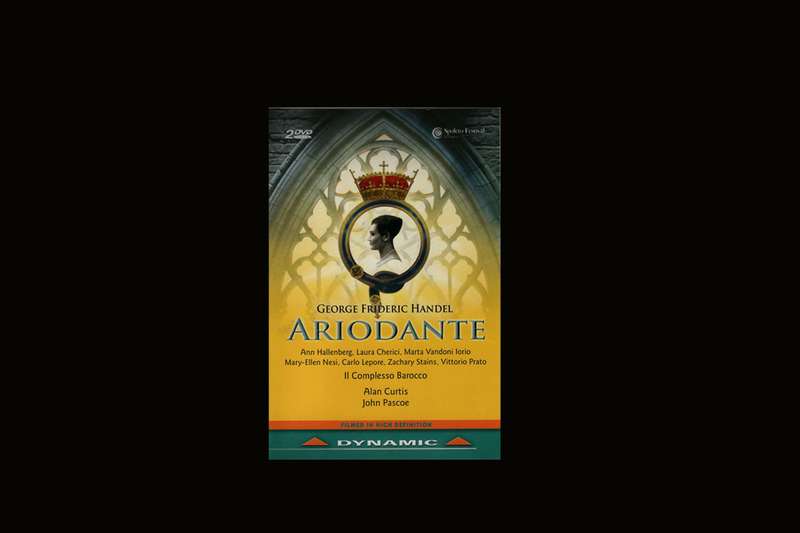 The entire court reach for the abandoned crown as Ariodante (Ann Hallenburg) and Princess Ginevra (Laura Cherici) decide to abandon court life and its intrigues forever.